Three Legit Paid forum Sites - Earn Money Online - CarseNoodle :: A Blog About Blogging And Earning Money Online. Are you Earning revenue from your online activities? I am sure no is the answer. I am not surprised by your answer. But it will surprise me if you say you don't know that your online activities can pay you money online. Your online activities are already paying others some good income. Yes, you can earn money online for the online activities you perform on regular basis. There are lots of networks that offers earning opportunity without any hard work. Today I am sharing here some legit forum sites that pay its user for contributing posts on the forum. Below is a List of Best Forums that pays its users. Beermoneyforum is a forum about money making idea related discussions. You can find many websites and earn opportunities here. Also, have some general discussions topic. The forum is focusing on money making ideas and finding a list of legit sites. There is also a sub-forum where users share their methods of earning online. Apart from this, the forum has his own rewarding method. they pay you BMF coin for every unique contribution you make to the forum. You can into PayPal dollars, and it is easy. They pay 15 BMF coins for every post and 20 BMF coin for starting a new Thread. There is also a marketplace where people offer some easy jobs in exchange for BMF coin. You can also earn 1000 BMF coin for every referral you make. After getting enough BMF coin you can convert them to Dollars. They offer $1 for 1000 BMF coin. If you stay active you can earn more than $1 every day. Their minimum withdrawal limit is $10 payment method is PayPal. Sign Up for Beermoneyforum Now. Like Beermoneyforum, forumcoin is also a paid forum posting site. Here you can earn forumcoin for every post you make on the forum. They also have a marketplace section, some user offers job there in exchange for FC. The jobs are easy that everyone can complete them. You can convert your FC to PayPal dollar once you reach the smallest withdraw limit. The convertion rate of forumcoin is 100 FC = $1. You can earn more than 1.2 FC for every post you made. You will also earn 25 FC for every referral that joins through your referral link. Their minimum withdrawal limit is $5 payment method is PayPal. Sign Up for Forummcoin Now. Marketstreetforum is another forum site that pays its users for the post. Marketstreetforum looks like same as Beermoneyforum. You can earn 5 MSF tokens for a new post you makes, and 10 MSF tokens for starting a new thread. As like above two forum they also have a marketplace, where you can earn some coin for doing simple jobs. They also pay 100 MSF tokens for every new referral. You cannot earn huge amount by joining this type of site. But, if you join all three site mentioned above then you can easily earn an amount of $100-$150 monthly by investing only two to three hours of a day. This is a good way to generate some side income at your own time. I am here providing the sites that I used and know that they are legit. If you know any other sites like this you can comment below. Hi, thanks very much for writing about ForumCoin and helping to promote our community. You are most welcome and also Thank you for providing such easy earning opportunity for everyone. Thanks for the valuable feedback. I will try to follow what you said. Looks good, I will give a try and then write here again about my experience. Earn Money Online Doing Microworks. Earn Money Doing Online Jobs. 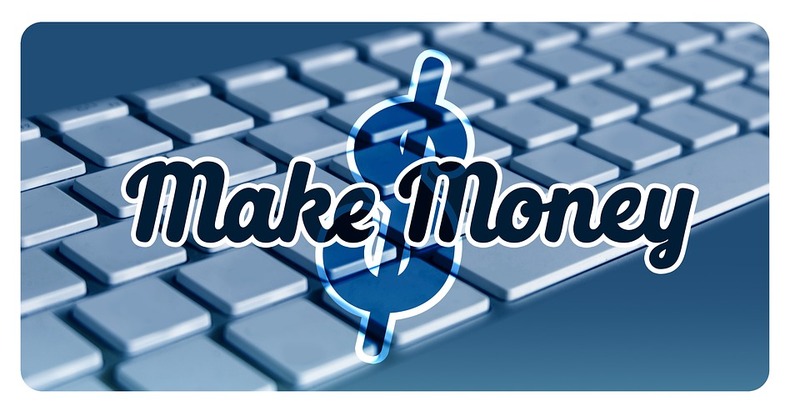 Online Money Earning Ways - For Beginner.